I had a great time watching this martial art, action movie. 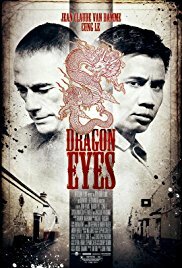 Some clever fighting scenes and a simple storyline. But … I assumed that it would be a Jean-Claude Van Damme film, but that was a huge letdown. His rol is so tiny in this movie. And I’ve never met such a motormouth as this Chinese guy Cung Le. The first 40 minutes he certainly pronounced 30 words. Astonishing !